Home > SEO > What Will Google Penguin 2013 Update Mean For You? Google Penguin Update 2013 – Matt Cutts of Google got a lot of airtime during March, even more so than usual, if that is ever possible. Most attention was given to last month’s Panda update, and the subsequent debate still raging around whether or not is has yet taken effect. Cutts also hit the headlines in the SEO industry for saying that future updates would just roll out within algorithm changes, rather than Google announce it in advance, as had been the norm previously. Must Read: How to get to top of Google Search Engine Results? The majority of SEO agencies and consultants welcomed this, feeling in general that it would serve further to create a fair playing field and continue the importance of webmasters and SEOs developing clean, well-designed sites filled with quality content. At the same time, Cutts announced that there would be a large update to the Penguin algorithm, due to land later in 2013. This flew under the radar somewhat, with everyone up in arms at what to do about the upcoming Panda update, and whether it would see them plummet down the search rankings. Now that the furore from March has died down, SEOs and webmasters should be beginning to focus their attention on what else is imminent over the coming months. Google Penguin was designed to predominantly deal with sites that were ranking highly because of black hat SEO techniques. One example of this was the way in which incoming links were acquired. Because of Google Penguin, hundreds of thousands of websites saw their search rankings affected, although only a small percentage of these were purely down to link building issues. Nonetheless, many see link building as the big thing that most webmasters and SEOs can control, and so it is the biggest way in which they can take a proactive stance in preparation for future Google Penguin updates. Those who have gave more attention to their link building activities in respect of Google Penguin – whether they were affected initially or not – will be in the best position to come out of the next update ‘unscathed,’ or in an even stronger position in terms of where they rank. In terms of link building, Google Penguin has targeted many areas previously. We provide a short summary of these below, and suggest a potential course of action for rectifying problems. Google knows that ‘manual’ link building goes on, but they still want to see links that appear to be natural. If you were attracting hundreds of organic links back to your website, you’d have no control over the anchor text used. Therefore, if you start guest posting as part of a link building campaign and use the keyword “best legal services,” for example, hundreds of times over, then that is going to appear anything but natural. Prevent yourself from picking up a penalty by using a variety of anchor text when you guest post. Be careful not to fall into the next trap, however. If you’re diligent enough and have a few hours to spare, you can still find articles where there is anchor text in almost every sentence. You probably don’t need us to tell you that is a bad idea. Having long pieces of anchor text is frowned upon, too, so where possible try to limit yours to no more than four words. What is a low quality link? The official ‘web definition’ is a link from a low ranking or irrelevant website. While you won’t be able to control any of these websites building organic links back to your site, you can always disavow them. The real action for you is, when link building, you need to ensure you only target sites that are relevant to your market, keywords, and content. If you’re buying links or exchanging links with another site in order to enjoy mutual benefits, all you’re going to find is heartache. Everybody knows that duplicate content is a massive no-no, yet people still try to submit articles from their own website or blog as a guest post or to an article website. If you do this, the link will be worthless, and you’ll be damaging the site you’ve posted on, too. Why do you think so many guest bloggers are strict around original and fresh content? By now, you should be getting the idea. A huge consequence of Google Penguin has been the way in which webmasters and SEO agencies or freelancers have had to change their approach to link building. What we’ve mentioned so far is what you should already be doing, and the net is only going to tighten around those activities as the new update rolls out at some stage of this year. However, the focus is very much on how you’re getting links, rather than the actual links themselves. To summarize, there are three main types of links, and you should know about each and about how to control and deal with them. · Editorial links are those that you have earned organically. As long as they are from a quality, relevant website, these are generally an indicator that your site has good content people want to read, bookmark, and share. · Promotional links describe those you gain via guest posting. If you do target an irrelevant site, you might get away with not getting a Google penalty, but you won’t see any value in them, and they’ll just prove to be a waste of your time and money. · Spam links are the ones to avoid, and if you have ever even dabbled in black hat or even so-called ‘grey hat’ SEO techniques, it is time to put that right. If you know you’ve entered your web address to a spam link site and haven’t already felt the consequences, you still have time to avoid a nasty bump. The beauty of any algorithm update, whether it is Panda, Penguin, or a general one, is that we don’t know the full extent of its powers until we see the results. However, we can safely assume that links are going to be a huge part of 2013s Penguin update. What are the strategies you can pursue to ensure any link building you do is the right sort? We’ll champion this as the cornerstone of any link building strategy until we’re blue in the face, but still some people will ignore it. If you have quality content on your website, whether it be an article, an editorial, a press release, or blog, then people are likely to link to it on their own site or through social media. Google will never penalize you for collecting hundreds of links because you have amazing stuff on your pages, and you get the added benefit of ranking highly thanks to the content itself. Would You Follow The Link? More specifically, would you go to the trouble of looking up a link yourself if it was no follow on a page? Why is this an important indicator? Well, the difference between clicking a piece of anchor text and copying and pasting something into a browser in order to get to a website is bigger than you might think. Therefore, before building a link, you should ask yourself whether or not a piece of content is so good that you’d want to see what the linked website is all about. Remember, link building should be about getting click through from a guest post, for example, as much as it should be about getting another link. Must Read: How To Make Link Building Result Driven? In addition, ask yourself if you’d want to build a link on a site if it was no follow. If not, then don’t pursue the link opportunity. 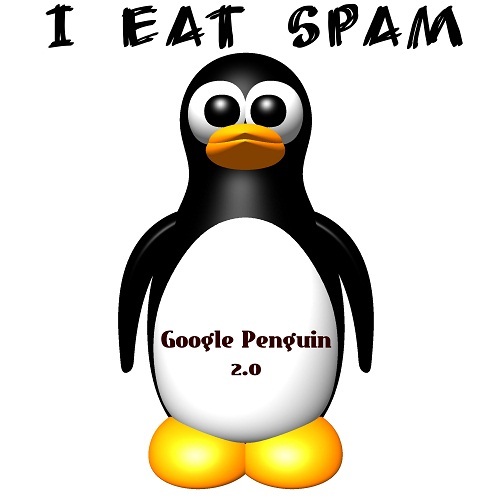 Expect the 2013 Google Penguin update to redefine spam to the extent that many more sites and links will be labelled as such. The thought process behind your link building will be clear for Google to see, and your search result will be impacted directly as a consequence. We mentioned the thought process in the previous sentence, and this will be key to all link building activities. While you don’t want to have a complicated strategy, you also need to avoid your link building plan being as simple as approaching guest sites and submitting an article. Google Penguin is about furthering Google’s aim to ensure that only the very best and most relevant results appear on page one and near to the top of search results. If your link building, and in fact your entire SEO strategy, is something that anyone could do, Google won’t take an interest. Ensure that you stand out and have a sound strategy in place for link building. Know the difference between a good link and a bad link, and really hone in and be specific when you’re targeting guest posting opportunities. If you do these things, then the 2013 Google Penguin update will not be the shock to your system that it will be for many others. Robert is an online content writer with a specific interest in SEO, with areas of expertise including dealing with Google algorithm updates, link building strategies, and how to effectively use an SEO ranking tool.